We love to craft and bake, so combining the two is a favorite! 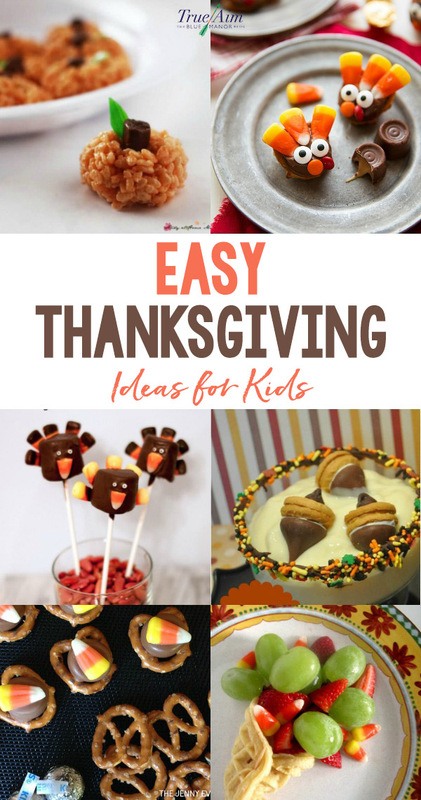 Here are some easy Thanksgiving food ideas for kids. 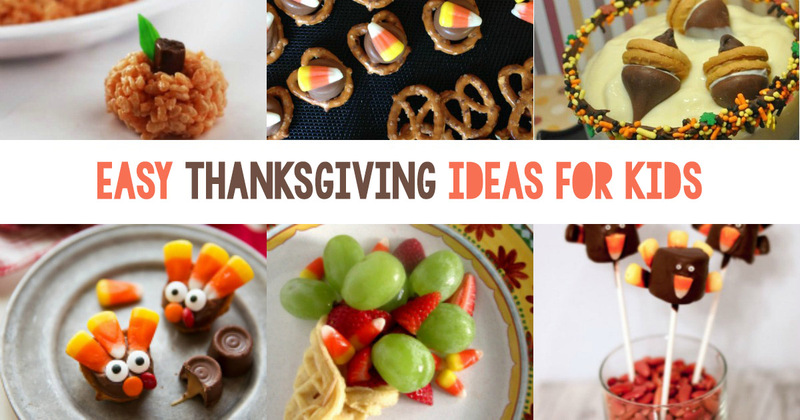 Make kid-friendly turkeys, pumpkins, trail mixes, and more! Chocolate and caramel dipped pretzels are delicious. 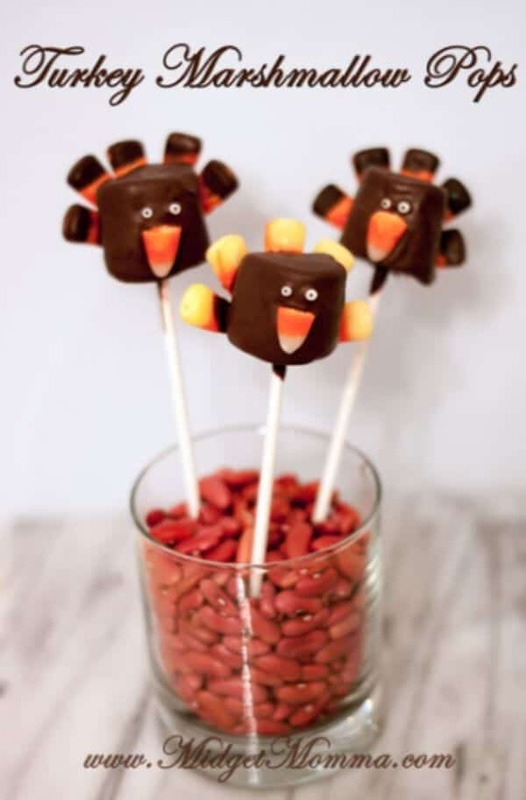 When you can make them into a turkey with candy corn, it is even more fun! Create and make as a snack for school or a gift for the teacher. Add some candy corn for feathers and edible googly eyes. Utilizing a sugar cone upside down as a teepee is adorable. You can either use them as a great table centerpiece or fill them with ice cream as a special treat. Try these waffle turkeys on Saturday morning! Each child can create their own fruit and waffle turkey to eat for breakfast. We don’t even use syrup because the fruit is sweet enough. We used strawberries, cantaloupe and pineapple as the feathers. Make it festive and fun! 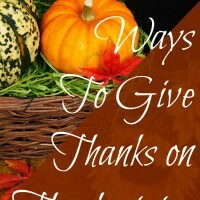 Not all Thanksgiving foods have to be full of sugar! Try this turkey fruit snack, made from an apple. Cornucopias are a classic symbol of Thanksgiving and represent the pilgrims and thankfulness. This one is made from a variety of ingredients, some healthy and some sweet. Get creative as you create your own mix! An easy but fun project! A fudge striped cookie, a rolo candy and a little icing makes a pilgrim hat. Serve this at Thanksgiving at the children’s table or keep them in the refrigerator for your family. These are fun to make and eat. 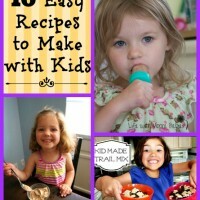 We think rice krispie treats are always fun to make. So a rice krispie shaped ball for a body with candy corns as feathers and a candy bird beak makes for Thanksgiving fun. These are great to use for place settings too on the big turkey meal day. Who doesn’t like pumpkin pie even when it is not really pumpkin! These cute sugar cookies that use colored icing to look like little slices of pumpkin pie are great. The even have a dollop of whip cream. They are so festive to make and little hands will like decorating them. These bite-sized treats are great for satisfying a sweet and salty tooth. This treat is easy to make and easy to munch on, for the whole family. Stuff cellophane pretzel bags with these fall colored candies and tie with twine at the top. Make the top of the husk with brown craft paper and when all put together, it looks like Indian Corn! This cornucopia is cute and can be filled with dip and veggies as a snack. We keep them on hand as a great snack container for 1-2 days after initially making them. It is easy to roll and mold the crescent roll into a cornucopia and bake. My little ones can not wait for them to come out of the oven for them to fill with the favorite veggie dip. The acorn is a great, creamy blend of cream cheese and peanut butter Oreos processed together in a blender. Then that mixture gets shaped into the acorn. Gather acorns before making these so you can have a model to look at for the right shape! 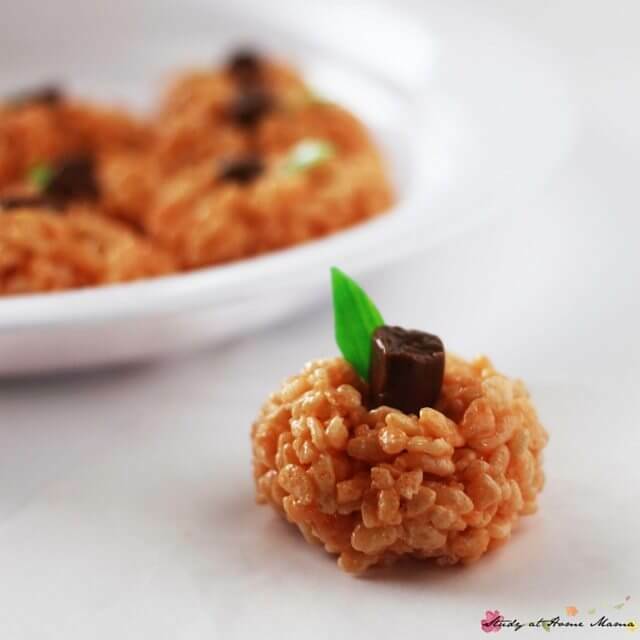 Enjoy these Rice Krispies shaped into pumpkins. They’re great for their groups, in case anyone has any peanut allergies. Brownies are my favorite dessert. Make these acorn-shaped brownie pops, simple enough for the kids to help out with. My children were sold on this food craft when they heard nutter butter cookies and fruit roll ups. They feel the need to eat both sometimes so this food creation makes them happy. It is a nutter butter cookie with the fruit roll up utilized as the feathers. These were fun to make and did not last long in our kitchen. These are a basic sugar cookie on a stick with icing and then colorful skittles to make the corn kernels. The hardest part is shaping the dough into a corn husk. The rest is simple icing and placing the colors of each kernel. This is like making a mosaic picture but using skittles. My children were very intense on making each cookie just right. 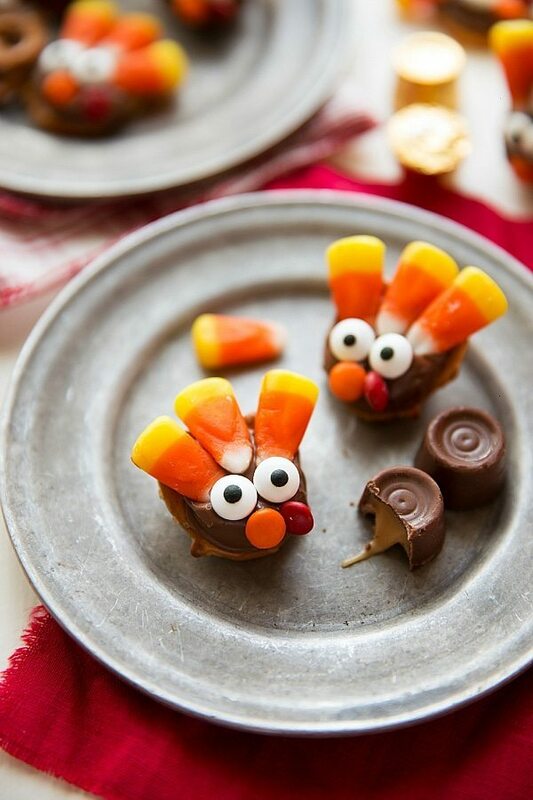 Enjoy these easy to make marshmallow pops that are designed like turkeys! Their cute and simple design is a favorite among kids. Everyone loves homemade chocolate chip cookies. Why not make them into turkeys? Use chocolate to make the feathers in different colors. You may have to work on developing our feathers, but the cookies are great tasting and fun to make. Create this twist on a caramel apple. 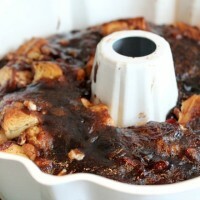 It is covered in chocolate with a caramel drizzle and a sprinkle of nuts if desired. It is a festive autumn treat perfect for the Thanksgiving holiday. It is even fun to set up for guests to make as an appetizer or dessert. I always include Apple Nachos because it is one of our favorites. They are thin sliced peeled apples with melted peanut butter drizzled on top and mini chocolate chips. For this finger food, add what every topping you like on the apples. Use an apple wedger to make these caramel apple turkeys to look like turkeys feathers. Then, add a small bowl of caramel dip with a candy corn and edible eyes. Create this homemade pudding, with (chocolate) acorns! It’s also easy to make in bulk, so it works well for a potluck. 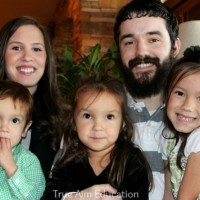 What are your favorite kid-friendly Thanksgiving options? 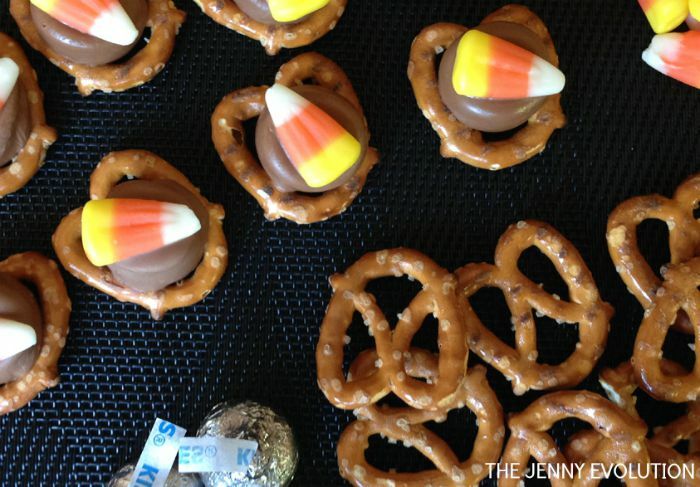 The Turkey Chocolate Caramel Pretzels looks so cute!!! Can’t wait to make these with the kids. Thanks for sharing the list.